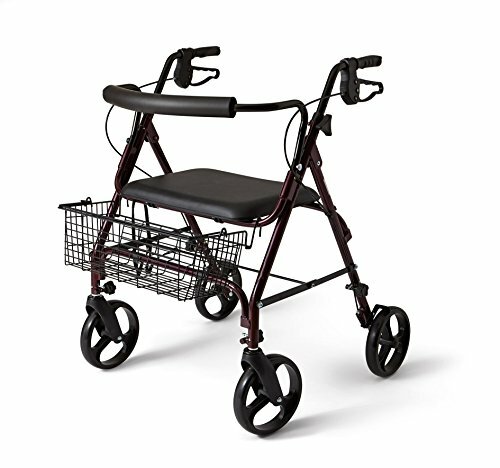 A bariatric rollator is basically a walker which is equipped with wheels to help it move along easily. There are both 3 wheel models and 4 wheel models to choose from. Many of them come with some accessories. The best bariatric rollator walker is very useful for individuals with weight or physical health conditions who need extra support and who struggle walking longer distances as they provide a seat so that the person can sit down and rest if needed. They have wheels on them that allow them to be pushed easily, and in most cases they fold up quickly and easily to allow for transport or storage. They are great tools for walking both outdoors and indoors and are typically small enough to navigate through smaller areas like hallways and doors. They are used by individuals who need long term mobility assistance as well as those who need temporary assistance moving about. Most importantly, these units offer independence to their owners. Lumex Bariatric Deluxe Four Wheel Rollator, 8 Inches, Blue. 500 lb capacity. 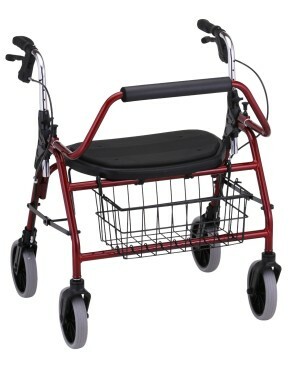 NOVA Medical Products Mighty Mack Heavy Duty Rolling Walker, 600lb capacity. By looking at these different features it will be easier to decide which one is going to be able to meet your specific needs. When you begin looking at each models features, there are a few determining factors to think about as well. 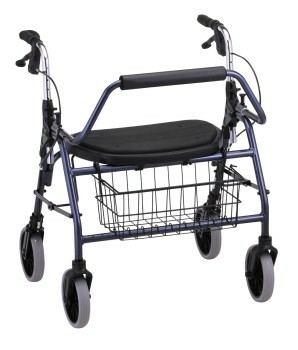 For instance, your own weight and height have a bearing on how large of a bariatric rollator you choose. It’s also important to think about any specific conditions, or limitations you have, as well as your stability on your feet. 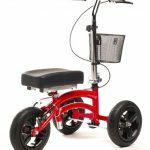 Besides choosing a rollator walker depending on the needs you have, you can also choose the color you like it to be, and the types of extra features you may desire. 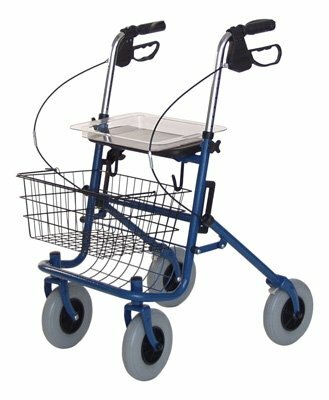 When you start shopping for a bariatric rollator, one thing you are likely to notice is that there are three and four wheeled models. 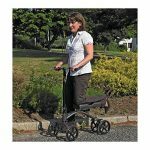 There are some advantages to both types of rollator walkers. 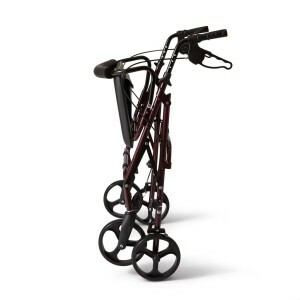 A 3 wheel rollator has a tighter turning radius, is narrower, folds up easily and is super lightweight. The 4 wheel models offer more stability, a larger seat to rest in, higher capacity for weight and wider ranges of height. 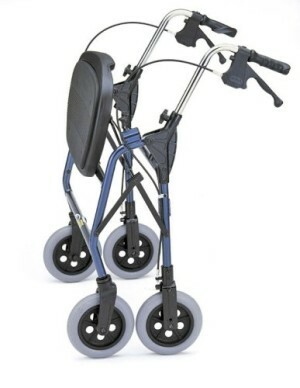 These are the primary advantages of purchasing a 4 wheeled rollator. The final decision will depend largely on what features are most important to you as well as your specific needs. 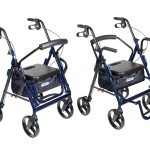 Here are three, 4 wheel bariatric rollators to help you compare features. Medline has an extra wide, heavy duty bariatric rollator that is designed to safely and securely support and carry individuals up to 400 pounds. It is wider by design at 29 inches in width, so it can securely accommodate a larger framed body. How Easy Is The Medline Heavy Duty Rollator To Assemble? If you are worried about how difficult this rollator is to assemble, or thinking you may need someone elses help, worry not. Minimal assembly is needed to put this Medline bariatric walker together. All you need to do is pop the wheels in, large sized screws lock the handles into place and you are done. As simple as that. Medline is one of the forward thinking companies whose units are designed with larger wheels for ease of use and increased stability. The handles are positioned further apart than other models, allowing extra room for you to sit comfortably when you need to take a rest. 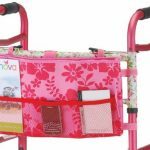 It comes with a vinyl covered, padded seat for extra comfort while sitting, and you can store your personal belongings in the wire basket under the seat, leaving your hands free to control the walker. Going places in the car is very easy as the Medline bariatric rollater folds up to slide in the car backseat or the trunk of the car. All you need to do is take out the wire basket, full at the bottom bar and the Walker is collapsed, easy to lift into the trunk. Lumex has designed the Lumex Deluxe Heavy Duty 4 Wheel Bariatric Rollator Walker to securely support heavier weights of up to 500 pounds with its sturdy steel frame. When you are a heavier framed person, you need to be safe in the knowledge your walker will support you when you need it to do its job. The 8 ” heavy duty wheels are made from soft grip rubber and will take you over rougher terrain with the larger sized wheels. The Mighty Mack Super Heavy Duty Rollator by NOVA Medical Products, is designed specifically for much heavier and larger individuals with a weight capacity of 600lbs. 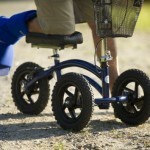 The heavy duty 8 inch wheels are designed to improve mobility, add stability and safety as they are sturdy and durable. 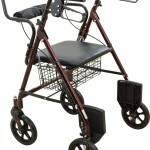 The front wheels swivel are very helpful for maneuvering tight corners easily. Like other 4 wheel models it is constructed to be wider to accommodate larger individuals comfortably. Many people commented on how they used it as a transportation device, even though it is not designed as one. The design is sound and ergonomic and NOVA Medical Products have put a lot of thought into the design of this bariatric rollator. 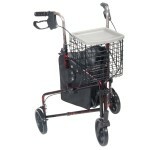 The NOVA Mighty Mack bariatric rollator also comes with a front wire basket basket to carry personal items if desired. You can also add a cup holder and an umbrella holder if you like. Our Final Thoughts on Bariatric Rollators..
A bariatric rollator is designed to help improve an individual’s mobility so that they can perform daily tasks and get out and about conveniently. They contain seats for those who suffer from limited mobility which allows for sitting when needed. Having a rollator walker can mean the difference in being independent in getting out and about and enjoying a lifestyle, or staying in and relying on other people for assistance. When choosing a bariatric rollator, it is important to look at all the features to determine which is the right model to meet your needs.